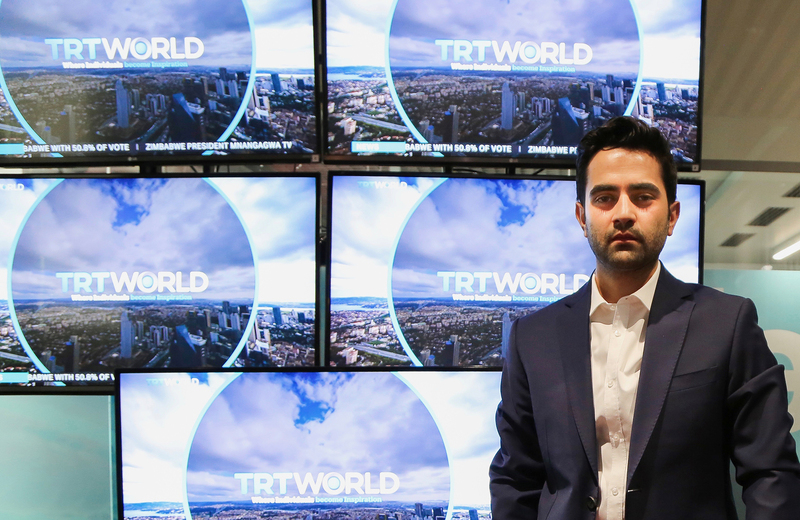 Working together since last year, SES has been helping Turkey’s first international broadcaster TRT World to expand its global distribution out of Turkey to the rest of the world. TRT World started broadcasting in January 2017 from ASTRA 19.2 degrees East, ASTRA 28.2 degrees East, and SES-5 at 5 degrees East. Broadcasting in SD and HD via SES’s satellites, TRT World reaches its viewers in continental Europe, UK and Sub-Saharan Africa. Owned by Turkish national public broadcaster TRT, TRT World is Turkey’s first English language international news platform, providing news coverage in English 24/7 from Istanbul and its newsrooms in London and Washington D.C.. Currently SES is providing the technical broadcast solutions needed to achieve this expanded global delivery including worldwide connectivity and uplink distribution services using its unique reach and access to its fleet of 10 satellites in total. TRT World is available in more than 190 countries and is carried by major TV platforms and streaming devices across the world, reaching over 260 million viewers globally. “We are still growing. We started 2,5 years ago in Turkey and now we are available worldwide. The feedback we are receiving is very positive. People appreciate the way TRT World looks and also understand our unique selling point, offering Turkish perspective on news. As the market evolves we constantly try bringing news to our consumers in the most efficient way. We are not just a TV platform, we are a digital platform and a media platform. Therefore, having strong partners with strong technology like SES is helping to realize our goals.” concludes Mr. Han. “TRT World is just one example of broadcasters that are using SES satellites to broadcast out of Turkey to reach an audience in the rest of the world. The local and technical knowledge as well as the coverage of SES` fleet over the world is a great opportunity for any broadcaster or media investor from Turkey to discover new markets.” commented Daniel Cop, General Manager Sales, SES Nordic, Baltic & Eastern Europe. When it comes to bringing TV content to new audiences around the world, it’s important that it arrives at the right place and the right time. With more than 50 satellites in Geostationary Earth Orbit (GEO) and 16 in Medium Earth Orbit (MEO) as well as over 50 DTH platforms, broadcasters trust SES to deliver a wide range of media content to their customers’ homes – including standard TV, HDTV and the world’s first Ultra HD channels. SES’ satellites serve over 7,700 channels to more than 1 billion people in 351 million homes, and SES’ range of solutions includes the preparation and transmission of content for both linear and non-linear platforms, as well as a full suite of media services including digital distribution and playout of content for video-on-demand, streaming and satellite TV. This article was first published in Turkish on Broadcaster Info.